The greatest British goalscorer who ever found the back of a net telephoned me in hospital to see how I was getting on after my little heart scare. He let me talk for 20 minutes, describing all the ups and downs of my adventure. Then I asked how things were with him. This all happened at the start of my crisis, and I was sworn to secrecy about Jimmy’s condition. He has since had an operation to ease his problem and according to the last bulletin I had, he was back to his old silver-tongued self. I would not have breathed a word about it, but the internet has been alive with rumours about Jimmy’s health. Just let me assure everybody that news of his pending demise is greatly exaggerated. He will soon be back hitting balls around the Essex golf club that he part owns, we have not heard the last of his gags as a brilliant stand-up comedian and normal service will resume with the biting column he co-writes with Dave Kidd in the Sunday People. And our writing partnership – 20 books together to date – has still got life in it. Our first book, This One’s On Me, remains our best seller at 93,000, including paperback sales. I am now planning to publish a This One’s On Me Revisited, which will update the original. The book was ground breaking 34 years ago, because no leading sportsman or broadcaster had opened up so brutally and honestly on his drink problems. Just how good was Greavsie? For the generation too young to have witnessed his footballing exploits and only know of him as a TV celebrity, just let me say that when you are watching Lionel Messi, it is like an action replay of Jimmy Greaves at his best. The way Messi runs at defences (cunning running, I call it), the way he changes pace and direction, and above all the way he finishes – passing the ball into the net – is pure Greavsie. The close control is identical, the sudden acceleration, the ability to shoot with either foot, the same low gravity and perfect balance. It’s all a flashback for me to “Our Jim”, who had scored 220 league goals by the time he was 24, Messi’s age. Messi has so far amassed 152, without violent interruption from defenders like “Chopper” Harris, Norman “Bites Yer Legs” Hunter and “Anfield Iron” Tommy Smith. If you think my memory is deceiving me, take yourself to YouTube and enjoy the feast, in particular his 1965 demolition of the Manchester United defence on the way to a goal that opened the Match of the Day titles until the dawn of colour television. His most dazzling goals came when he was wearing a Chelsea shirt and playing with the gay abandonment of youth (“gay” had an innocent connotation in those black and white days). Sadly, few of his Chelsea crackers were captured on film or tape, but ask anybody who was around at the time and they will confirm that many of them were magical. Jimmy scored the little matter of 124 league goals for Chelsea (including three five-goal hauls) before he was 21. 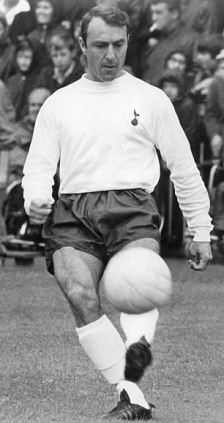 Later, he helped himself to 220 league goals for Tottenham and had hung up his shooting boots by the time he was 31 after scoring an all-time record 357 first division goals. Figuratively speaking, he was unbeatable. There is, understandably, Messianic fervour about Messi. What makes him Jimmy Greaves with bells on is his desire and determination to run his socks off for the team. Jimmy will admit that running without the ball was not something that appealed to him. He could go missing for much of the match, after which the talk would inevitably be of his winning goal. Jimmy did not just decorate games, he decided them. Messi still has a question mark over him when it comes to the international stage. On a visit to Argentina I watched him play against Venezuela and saw a shadow of the Barca master. It seemed he did not know whether his role was schemer or striker, and he fell between the two. So far, he has scored 19 goals in 66 internationals. Jimmy’s output for England was 44 goals in 57 international matches, five short of Bobby Charlton’s record of 49 goals, achieved in 106 games. You don’t have to do the maths to work out who had the better striking rate. There are still those who thought Alf Ramsey mad to leave him out of the 1966 World Cup final. But Geoff Hurst ended all arguments with his historic hat-trick. And Jimmy has still got a lot of life left in him. He is a national treasure who even a recession cannot devalue. 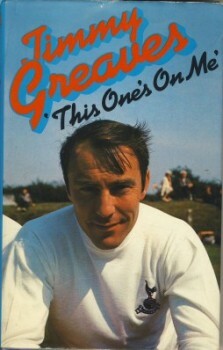 There’s only one Greavsie. It’s a funny old life. Click here for details of SJA membership and application forms. How many of you saw Greavsie’s first game in a Tottenham shirt? I did. There were 12,000 of us at Home Park for Plymouth Argyle reserves v Tottenham reserves in 1961. Pride makes me mention that John “Cardiff” Williams – “Cardiff” because Argyle had another John Williams, who was there first and was the better player – marked him out of the game, restricting the great man, just returned from Italy, to just two touches. Trouble is they were two touches into the net. I also saw Greavsie at 17 in a young Chelsea side that opened Ashford Town’s floodlights. I was as impressed with David Cliss. Whatever happened to him? Hey Randall, I wasn’t in that game, but the John Williams you talk about is my Dad. He tells me that he had been out injured and was playing a few reserve games on his way back to fitness. He speaks fondly of playing well against Jimmy Greaves, although to this day regrets that Greaves scored twice.